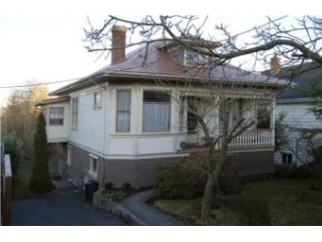 Description: Open house sat 2-4 truly beautiful character home with all the lovely wood you could want. Very solid and warm. Large kitchen, formal dining room, cosy livingroom. 3+ bedrooms. Lower level is all finished. 1-2 bed inlaw. 10 foot ceiling. No work required here. 200 amp. Updated wiring. New metal roof with warranty. Gorgeous, quiet back yard. Additional Features and Amenities Other: Bedroom-Lev1: 12x11, Bsmt: Finished - Fully, Din-Lev2: 16x12, Ext Fin: Wood, Found: Concrete Poured, Fp: 1, Fp: Living Rm, Front: 47, Fuel: Electric, Heat: Baseboard, Int: Flrs/Lino, Int: Flrs/Wood, Kitch: 2, Kitch-Lev1: 12x8, Kitch-Lev2: 15x10, Liv-Lev1: 18x14, Liv-Lev2: 15x15, Mstr-Lev2: 12x11, Roof: Metal, View: Mtn, Waste: Sewer, Water: City/Munic.